← Young engineers at work! Lusubilo Band from Karonga commenced on a national tour. 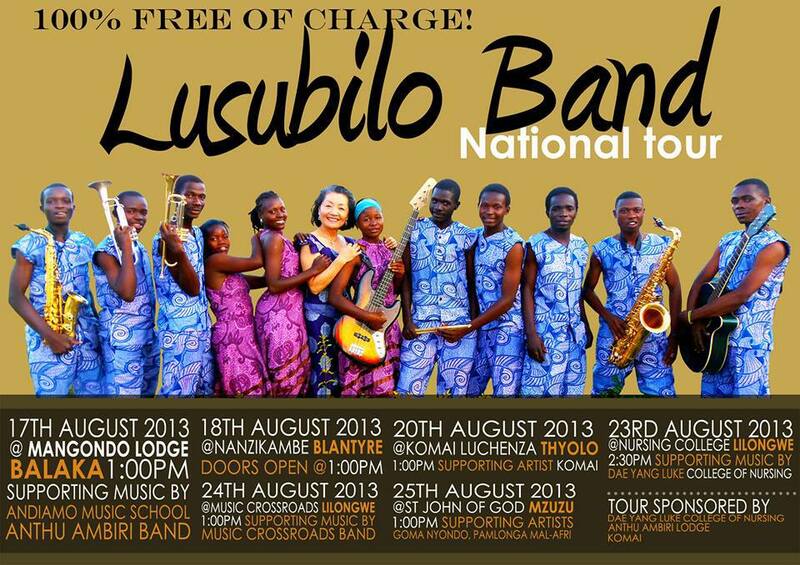 They have reached balaka- the town of music and they will be performing at Mangondo Lodge on Saturday August 17. The band has invited Andiamo Music school and Anthu ambiri band to back them up so as to spice up the event. This to Andiamo Music school as Thom Damba reports is an opportunity to exploit new skills and reach out to their fans as well. This entry was posted in News from Malawi, Social Development and tagged Andiamo Music School, Andiamo Youth Cooperative Trust, Anthu ambiri band, Harry Pongolani, Thom Damba. Bookmark the permalink.